Through an introduction by our Trustee Hannah, KHMT was delighted to have been invited by Rob Fellows and Chris Pettit (Hannah’s brother-in-law) to be one of three beneficiary charities to be supported from the Golf Day they organised at Richmond Golf Club on 17th October with two other very worthy charities. It was a beautiful day and we understand that the golfers all had an excellent day and many were awarded prizes at the evening dinner for their prowess. The dinner was followed by an auction and it was amazing to see how generous everyone was on the night, with prizes that included stays at The Celtic Manor Resort and The Bull Hotel, Fairford, golf lessons and a Wayne Rooney signed boot in display case. 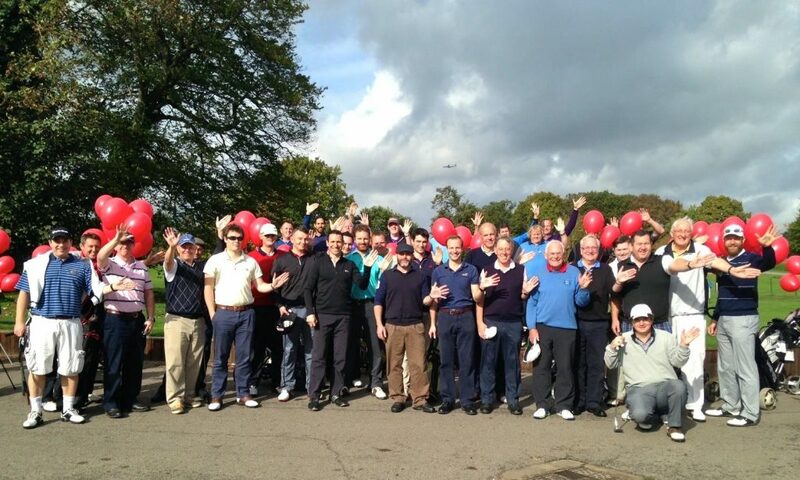 We were absolutely overwhelmed when Chris and Rob informed us that the Golf Day achieved almost £12,000 to be shared between the charities. We are extremely grateful to have been included as a recipient from this wonderful event and thanked Rob, Chris and Hannah for their support and, of course, all the golfers who took part. Thanks to Tim Reid, Carly Baker and Bethan Haswell for taking part in the Ice Bucket Challenge for KHMT.